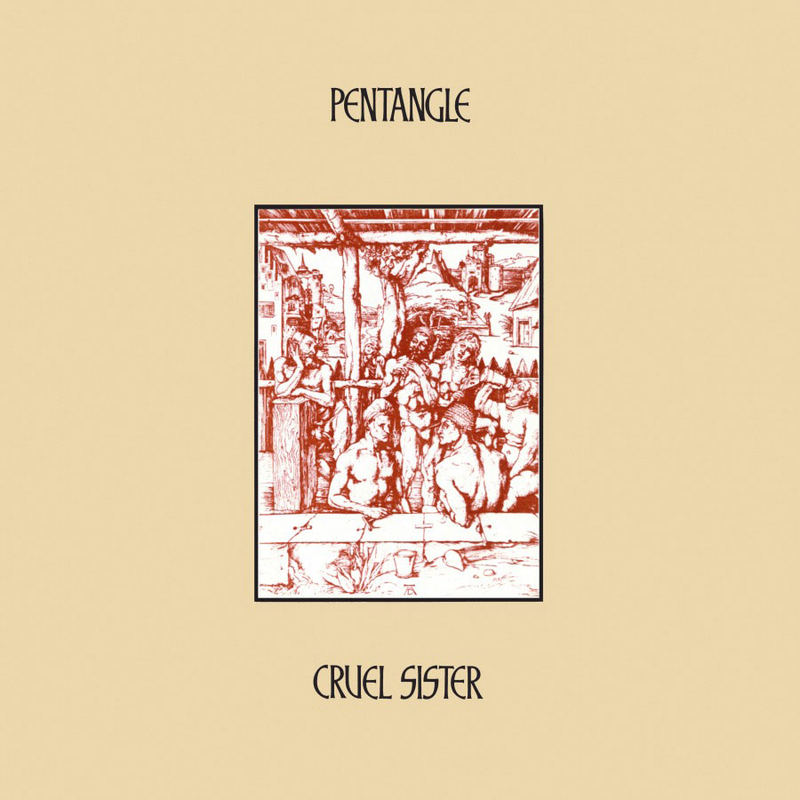 This is the most folky of Pentangle's albums - the tracks are all traditional folk. No jazz experiments to be found here. Quite why they never made it to the heights of Fairport Convention or Steeleye Span is a mystery. Some of their stuff is as good as you will hear traditional folk songs interpreted. Jacqui McShee's voice is simply sublime, crystal clear and the instrumentation is rich, warm and textured. The first song is a favourite of mine - "A Maid That's Deep In Love" tells a fascinating story about a girl who goes to see dressed as a man in order to be with her lover. "When I Was in My Prime" has McShee singing totally unaccompanied, a very difficult thing to do. It is an utterly beautiful delivery. Not a note out of place. Her voice is hauntingly seductive. 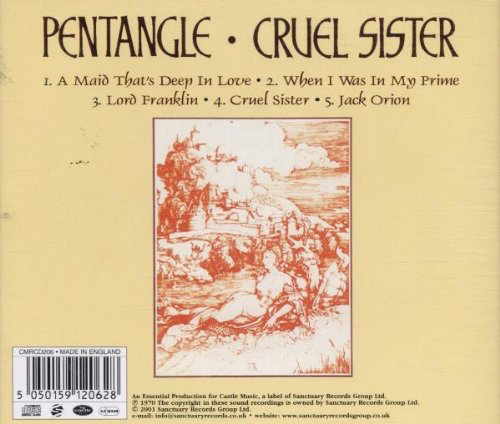 "Lord Franklin" has John Renbourn on lead vocals on an evocative, moving, tragic seafaring tale. Lord Franklin died trying to navigate the North-West passage in Canada. Jacqui joins in with some infectious backing vocals. Then some delicious guitar parts, also from Renbourn, arrive to add to the atmosphere. The title track also has some Eastern-sounding guitar and another ghostly vocal. It is a story of two sisters rivalling each other for the love of a knight. It is a Northumbrian tale also known as "Twa Sisters'. One of the sisters murders the other by pushing her in the North Sea. 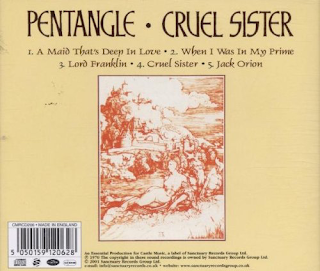 Although Pentangle use the electric guitar considerably n this album, it never overwhelms the sound. It doesn't turn them into a electric folk group. Their subtle use of electric guitar lies under the main melody, enhancing it but not dominating it. Steeleye Span's early electric interjections, for example, were far more aggressive, such as on tracks such as "Cam Ye O'er Frae France'. The old "side two" was entirely taken over by one song - the eighteen-minute "Jack Orion". The track has Bert Jansch sharing vocal duties with McShee and the instrumentation is seriously good - acoustic guitar, percussion, electric guitar and an intoxicating bass. Although it is obviously lengthy, it is a perfect creation. I love the way they didn't care about putting such a long track on the album. They wanted to do it and so they did. Good for them. 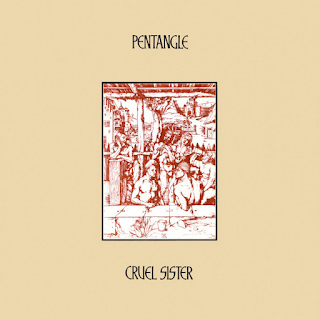 This is one of Pentangle's finest albums and probably their last truly essential one.